Ah, back to school season. You can just hear the reluctant groans of kids and young adults everywhere as summer break screeches to a halt. 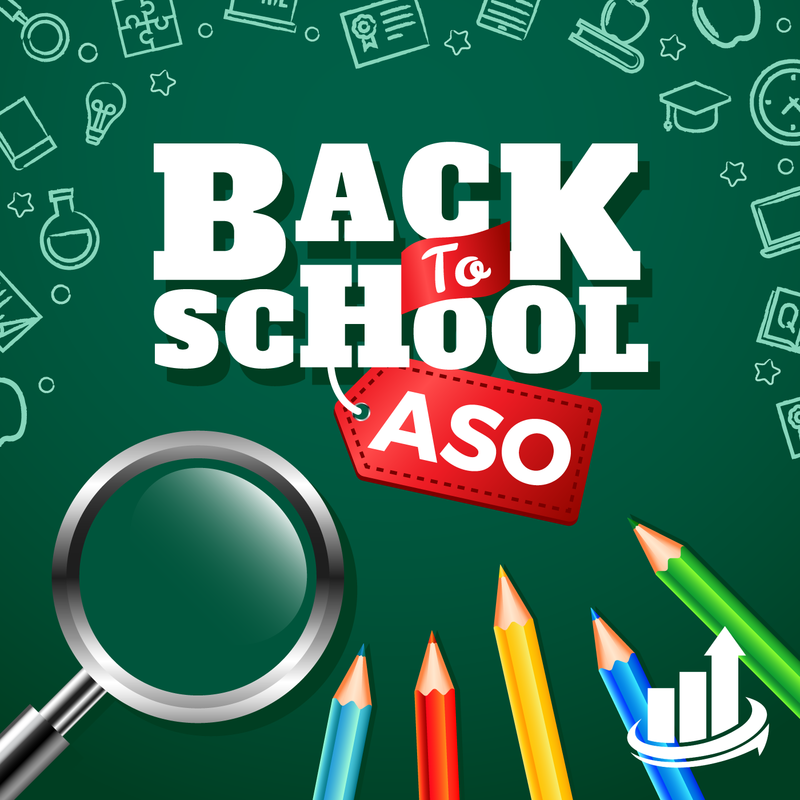 But what does back-to-school mean for ASO? All those free hours spent downloading and using mobile apps are going to see a major cut back. But don’t fret. School hours aren’t all that bad. The virality effect: As soon as school is back in session, there are massive groups of young people getting together and discussing their favorite apps they found over summer break. Halls are packed with groups giggling over smartphones and friends begin to swap their favorite games and apps. Younger students probably know how to share an app from the app store, but many students will just download by typing in their friends’ recommendations organically into the search bar. This influx in organic searches for your name can boost your app’s rankings! Consider offering prizes or in-app currency as a reward when students invite their friends to use your app. This is also known as a viral loop. Learn more about viral loops here. Make sure to include misspelled keywords in your keyword list as students will likely search organically for your app with different approaches to spelling your app’s name. Learn more about misspelled keywords here. There are even a lot of back to school-centric apps to help ease the transition between summer and school hours. Apps that Apple deems useful and constructive to students’ lives can even get into the coveted featured section or App of The Day. Optimize your graphics to relate to back to school. Including elements like fall leaves, backpacks, pencils and notebooks. This counts for your app icon, preview videos and screenshots. Get some great graphic assets here. Use back to school phrases in your Title or Subtitle (but never duplicate words in both). Need help optimizing for back-to-school? Contact our team of ASO Pros today.